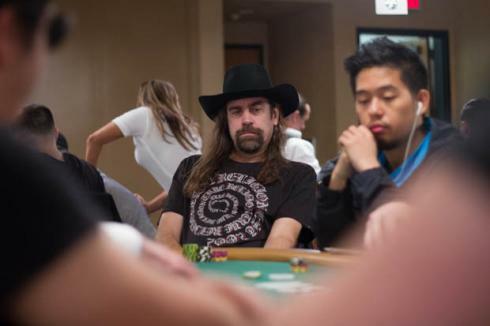 Chris Ferguson was one of poker’s most brilliant minds in the early 2000s. Unfortunately for hundreds of thousands of online poker players, Ferguson might not have exclusively used his mental intellect to outwit his opponents in lawful ways. Ferguson has always denied any wrongdoing in the Full Tilt Ponzi scandal, but has endured somewhat of a self-imposed exile from the poker community since 2011. That ended on June 4 when Ferguson unexpectedly appeared at the Rio for the 2016 World Series of Poker’s $10,000 Seven-Card Stud Championship. The notorious figure nicknamed “Jesus” deflected questions from media in attendance. “I’m just here to play poker,” he told PokerNews. Ferguson didn’t last long in the $10,000 buy-in event that drew 87 entries. He has one of the most infamous mugs in all of poker, and it seemed many competing at the WSOP weren’t exactly sure how to handle Ferguson’s presence. In addition to winning the 2000 World Series of Poker Main Event, Ferguson claims he turned $1 into $20,000 playing online during a six-month stretch. That was only the beginning of his fast ascent to becoming a multimillionaire. The US Department of Justice (DOJ) alleged that Ferguson was one beneficiary of Full Tilt Poker’s Ponzi scheme that reportedly stole hundreds of millions of dollars from players and dispersed the funds to the network’s owners and leadership. The worldwide online card room supposedly made off with nearly $444 million. Ferguson was a Full Tilt director, and after the DOJ seized the platform on April 15, 2011, a day that would go down in infamy as poker’s “Black Friday,” the Justice Department brought charges against Ferguson the following September. When PokerStars agreed to acquire Full Tilt and repay customers, the DOJ reached a settlement with Ferguson. Ferguson represents one of the primary reasons why online poker is largely prohibited in the United States, and his comeback was anything but celebratory. The argument being made by pro-online poker proponents is that the best way to prevent another Full Tilt fiasco is to create a legal and regulated Internet gaming market. New York and Pennsylvania lawmakers are taking steps to do just that. In Albany, the New York State Senate Finance Committee recently approved online poker legislation authored by State Senator John Bonacic (R-District 42). The bill, S5302, will next be considered on the Senate floor. New York’s southern neighbor, Pennsylvania is also looking to online gaming as a way to grow revenues. 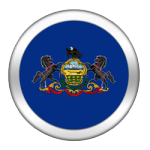 The Pennsylvania State House of Representatives reconvened June 6, and State Rep. John Payne’s (R-District 106) Internet gambling bill is on the calendar for the upcoming sessions. With the legislature controlled by Republicans, lawmakers in Harrisburg are looking to pay for Democratic Governor Tom Wolf’s proposed spending increases without raising taxes. Online gambling could be one solution, conservatives in the Keystone State say. Ferguson’s appearance in Sin City reminded many of the dangers of an unregulated interactive gaming environment. Should New York or Pennsylvania move to legalize card games online, it would be a giant step forward in making sure history doesn’t repeat.